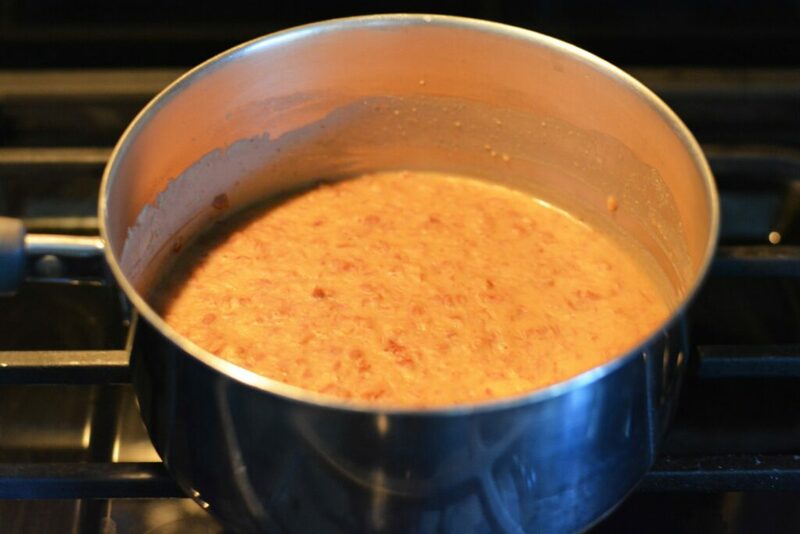 New Instant Refried Beans: Homemade Taste and Texture in 5 Minutes! 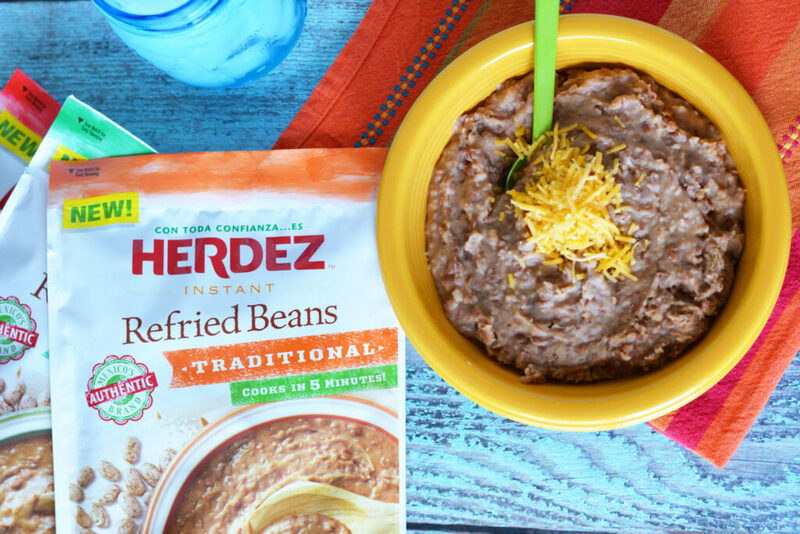 Herdez Instant Refried Beans are so easy to prepare and are simply delicious. I wasn’t sure that something so good could come out of a package. I can tell you that they taste much better than what you can get in a can and only take 5 minutes! I don’t have the time to cook pinto beans from scratch. We love Mexican food here at home and usually enjoy it on the weekends. Refried beans are great with everything. I like to make breakfast burritos and then have extra to enjoy later with chips and salsa. We will usually have tacos, enchiladas or tostadas with refried beans as a side dish on Sundays. We all love the tradition of Mexican food , but I don’t want to spend a long time in the kitchen. Choose from four authentic flavors: Queso, Chorizo, Jalapeno, and Traditional. All of the flavors are gluten-free. In one pan, add 1 1/2 cups of hot water and then bring it to a boil. Stir in the beans from the pouch and let them simmer for 5 minutes. Cover the pot and stir occasionally. Simply remove them from the heat, uncover and stir. Look for them at Walmart, VONS, Ralphs, Albertsons, Food4Less, and Northgate Market. 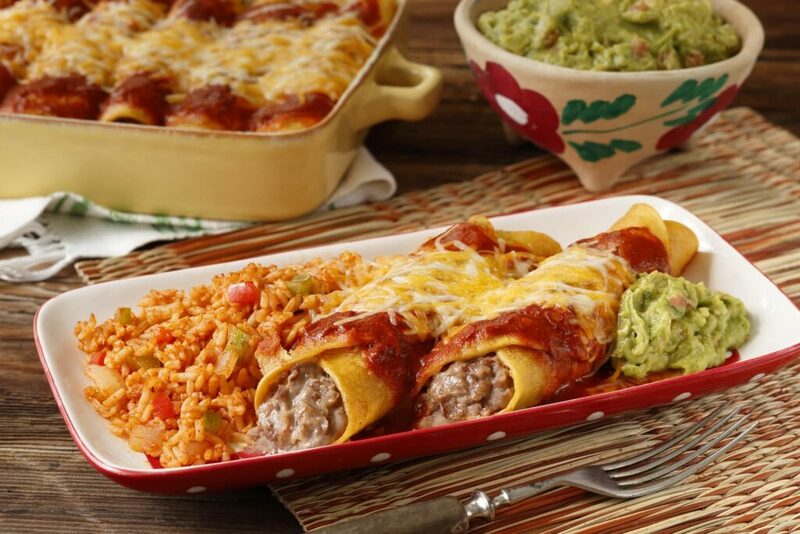 For authentic recipes for enchiladas, visit here. 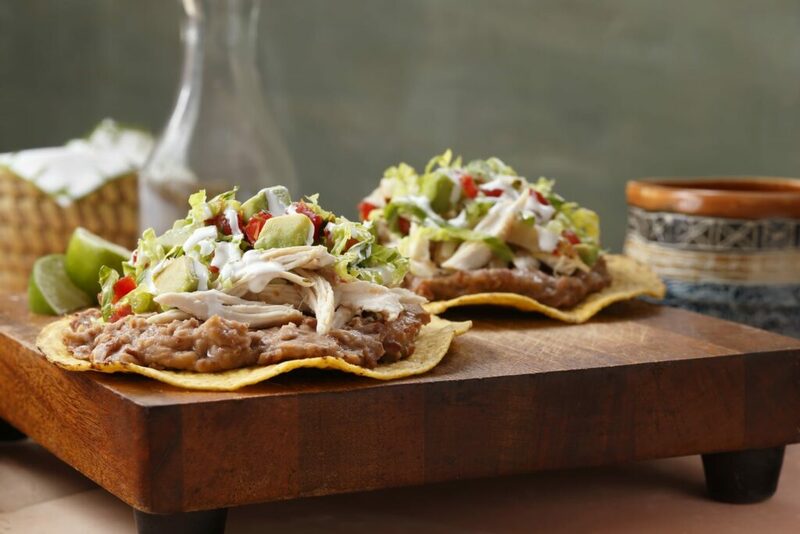 For authentic recipes for tostadas and more , visit here. Frijoles Con Todo Social Media Sweepstakes – beans with everything! 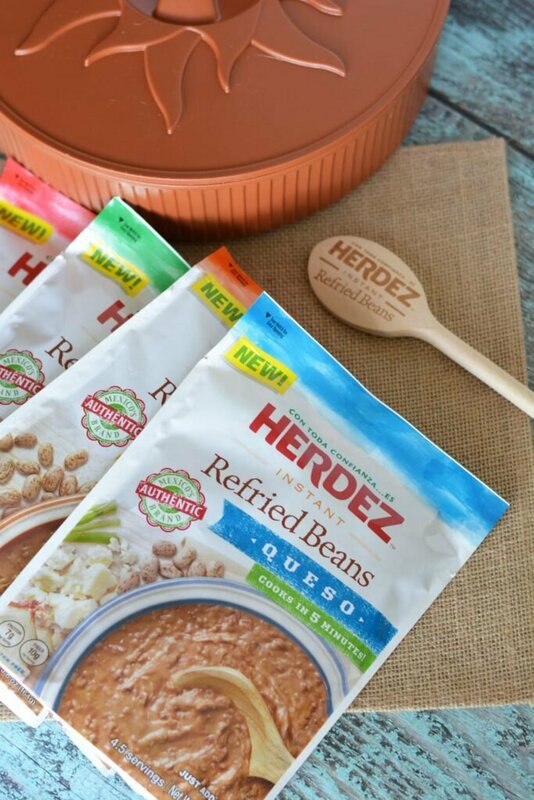 Share your favorite frijoles photo or video on Instagram and get a chance to win a custom Herdez® T-shirt. Follow @HerdezTraditions on Instagram. Share a photo of your favorite frijoles breakfast, lunch or dinner and hashtag with #frijoles and #contodo and #herdeztraditions. I love refried beans. I would love to give these a try. They go well with burritos and so many other dishes. This sounds awesome! 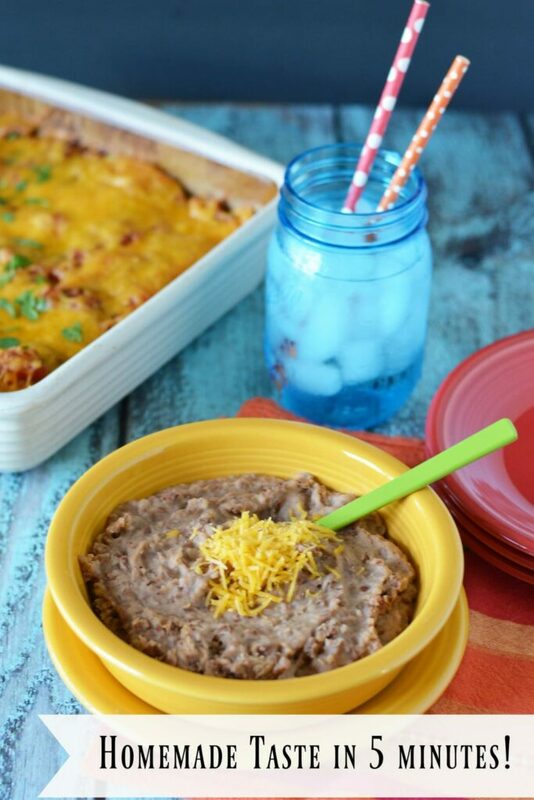 I love refried beans and could eat them every few days! I never tried making this before especially in this method so I’m curious about the taste. I guess it will save me loads of time in the kitchen! These look delicious! They look much better than the ones in a can. Looks so tasty!! Will def have to try it! These look and sound amazing! Can’t wait to try them for our next Taco Tuesday!